Are you tired of leaving your skin dry every day after your shower? San Francisco Soap Company created a 8 oz. 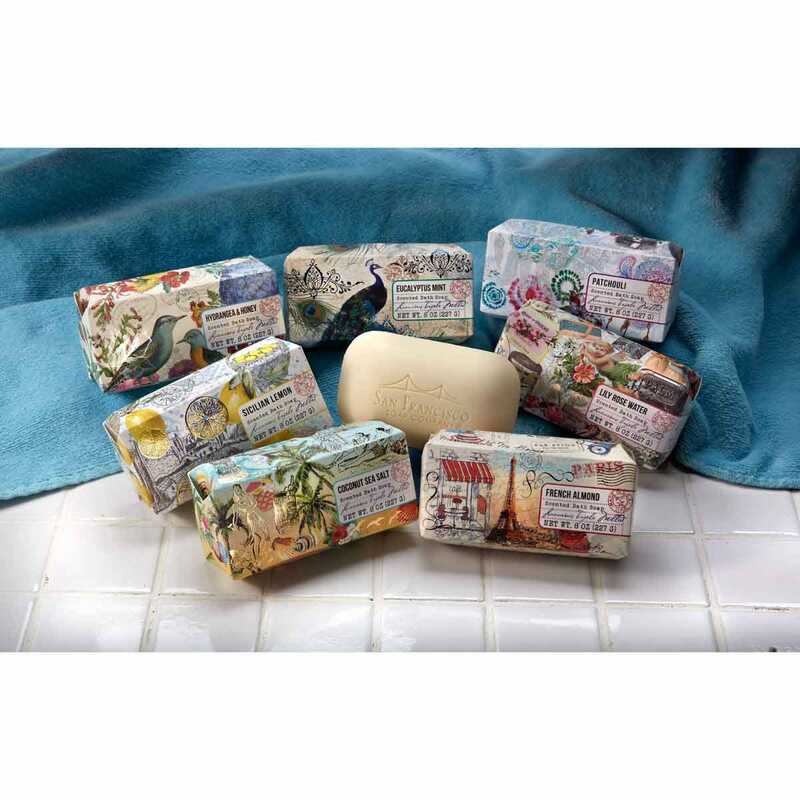 scented bar of soap for women that gives a rich and moisturizing lather. With a unique formulation that blends the finest ingredients to leave your skin wonderfully scented and gently cleansed. 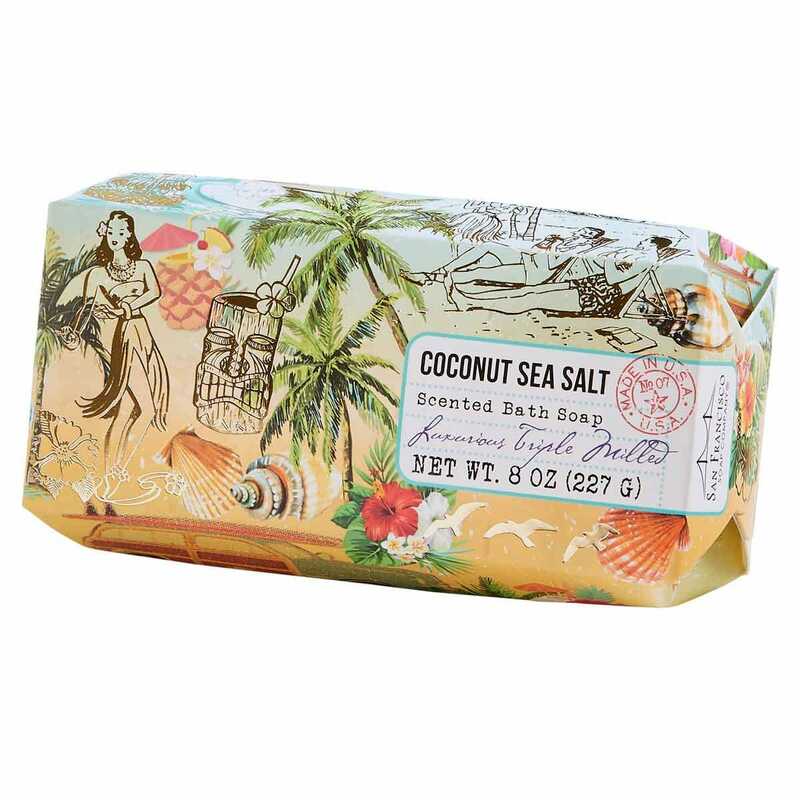 Coconut Sea Salt takes you to the beach creating the wonderful smell of sea salt, coconut oil and shea butter. 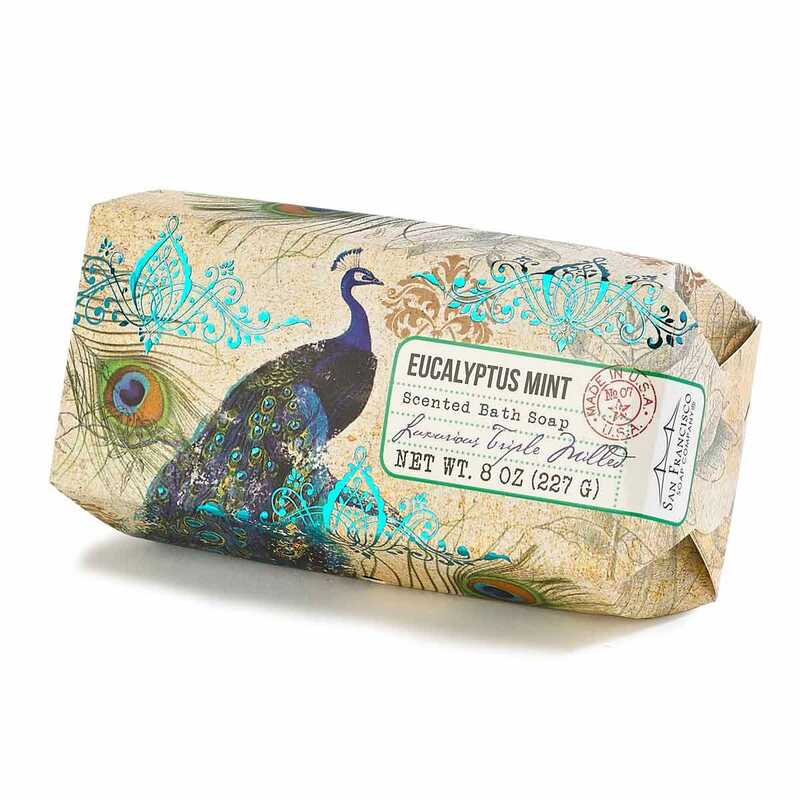 Eucalyptus Mint provides a refreshing blend of fresh mint, crisp eucalyptus and sweet clary sage. Patchouli gives off a rich decadent, earthly aroma. 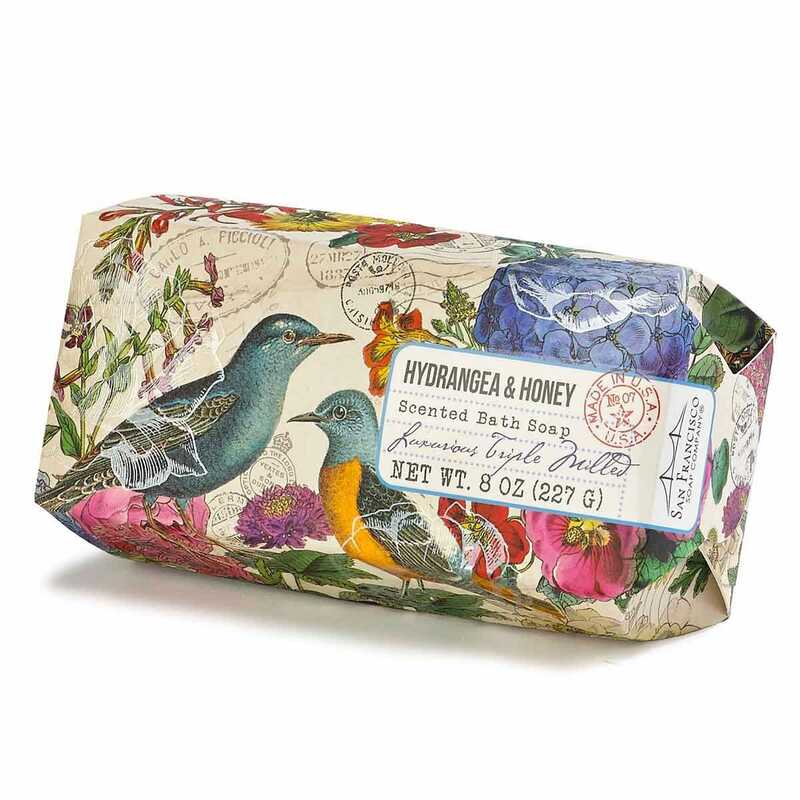 Hydrangea and Honey carries an elegant sweet famine honey scent. 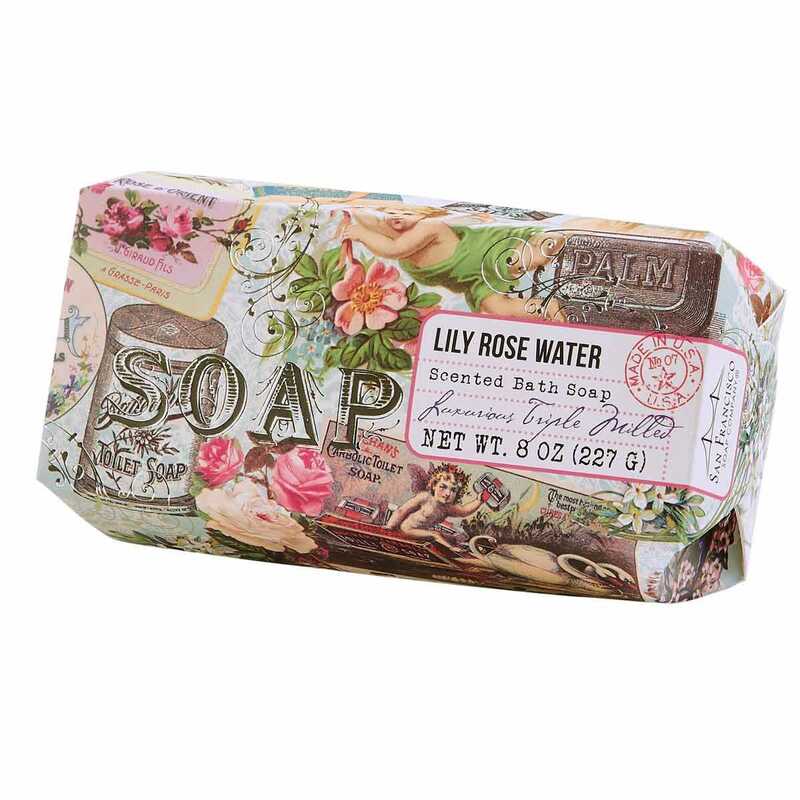 Lily Rose Water is evocatively scented with a fresh-cut bouquet of soft rose petals, rain kissed ivy and spring musk. 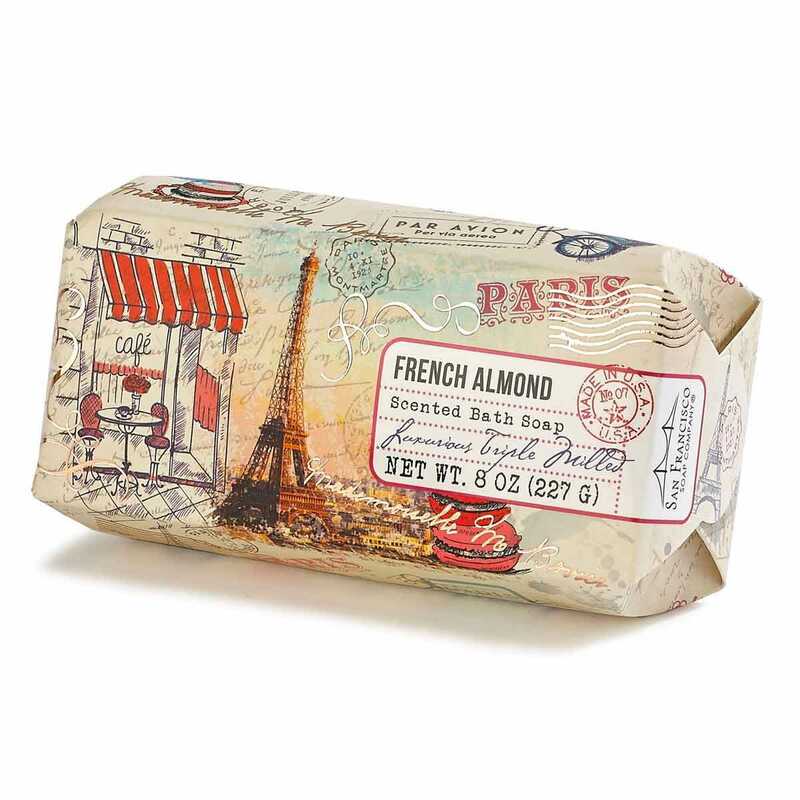 French Almond is evocatively scented with a nut aroma blends of milk, almond coconut with a white flower, warm woods and musk. 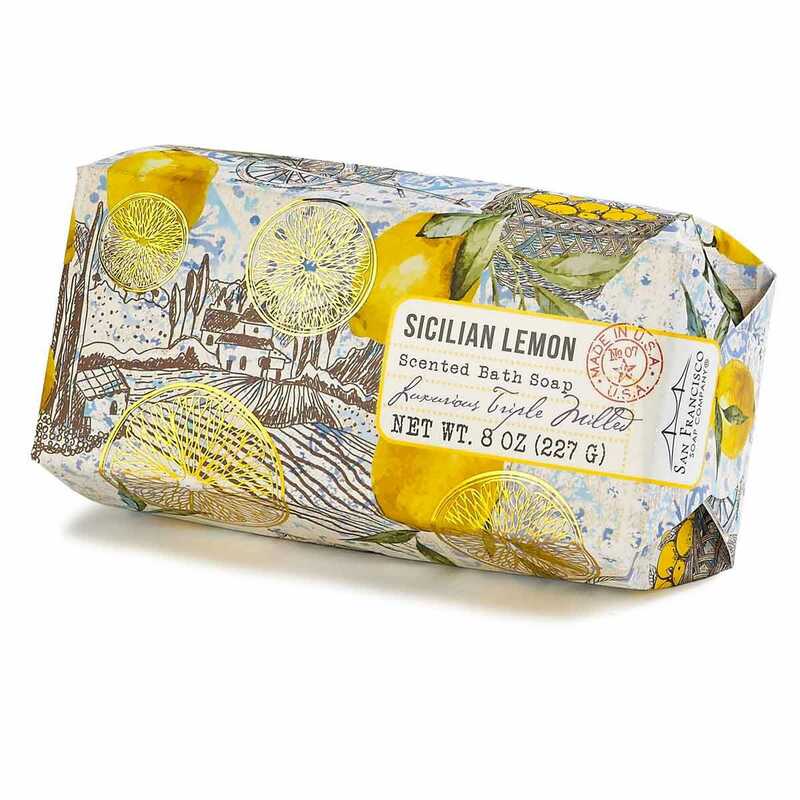 Sicilian Lemon features a bright citrus scent.